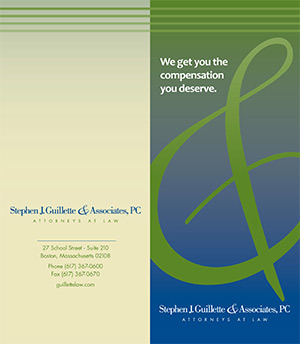 Massachusetts Personal Injury Protection Coverage and Private Heath Insurance – Stephen Guillette & Associates P.C. With so many recent changes in health care it’s important to know the coverages afforded by your Massachusetts’ Auto policy. If you do not have private health insurance, the automobile insurance policy for the car that you were occupying at the time of the accident will pay up to $8,000.00 for your medical expenses. On the other hand, if you are covered by a private health insurance policy, the auto insurance will only pay $2,000.00 of your medical bills, regardless of the amount of your bills. All medical bills over $2,000.00 must be paid by your private health insurance. Remember that most health insurance plans require a referral from your primary care physician for chiropractic or physical therapy treatment. If you do not receive a referral from your doctor, then medical bills exceeding $2,000.00 may not be paid by your health insurance company. Since Massachusetts insurance companies are not required to pay more than $2000.00, this could result in unpaid medical bills, or medical liens, from your medical provider. For this reason, it is recommended that you get a referral from your primary physician to any physical therapist or chiropractor.